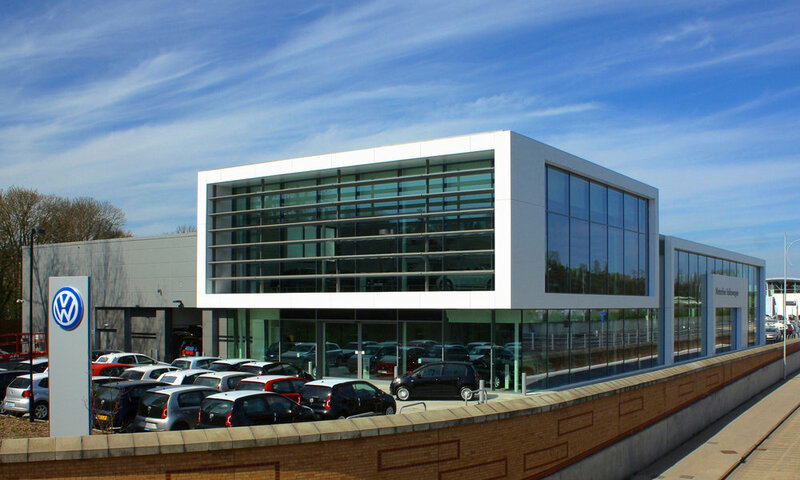 SRA design pioneering environments for many of the world’s leading automotive brands. Creating an excellent customer experience is essential, as is a space which functions effectively. We’ve become experts in interpreting corporate identity guidelines to deliver automotive retail spaces that achieve the maximum beneﬁt for the business, staff and their customers. Working as part of a multi-brand dealership, to include separate sales, workshop and valet facilities for Aston Martin, McLaren and Jaguar Land Rover. We carefully balance the Audi brand image of technical progress with the practical requirement to create outstanding spaces to use. 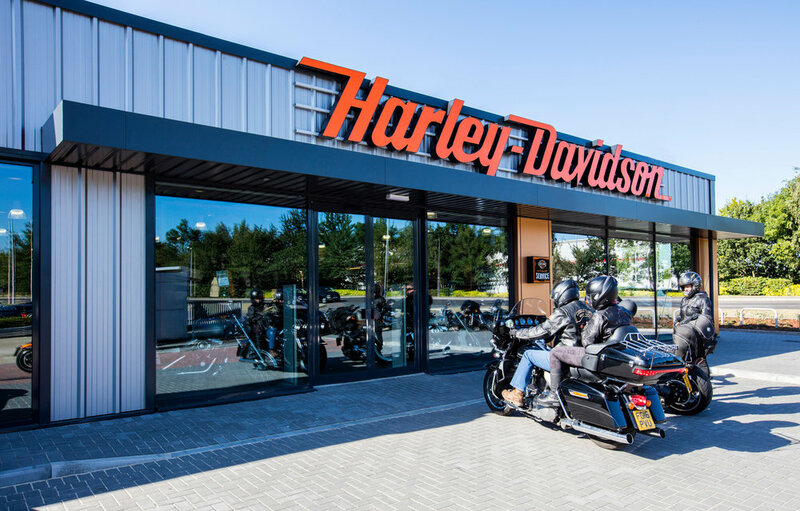 A new independent Harley-Davidson bike showroom on site at Lakeside Shopping Centre. The introduction of the Jaguar Land Rover ‘ARCH’ retail concept offers exciting scope for architectural innovation. With the customer journey at its heart, these re-imagined dealerships are warm, eye-catching and refined. Working in collaboration with the German manufacturer on buildings conforming to new brand standards, taking into account the Mercedes, AMG and Smart divisions. The Morgan marque is unique in its marriage of hand-crafted wood with state-of-the-art technologies. From project inception to conclusion, SRA echoed this beautiful fusion, while creating an immersive visitor experience. Demolishing an existing building to build a new Porsche showroom and workshop, to meet with the Porsche brand standards. Including external site reconfiguration for vehicle parking, servicing, valeting and storage. Skoda is one of the UK’s best-selling automotive brands. It’s a brand that has evolved dramatically in a short space of time. Something that needs to be reflected in every showroom across the country. With each of our Volkswagen projects, we make the most of the site’s unique opportunity while consistently delivering a strong brand message.